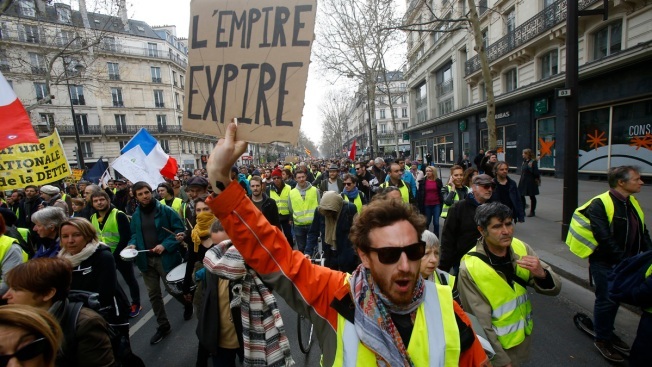 A protester holds a placard reads in French ''Empire expires'' during a rally in Paris, Saturday, March 23, 2019. 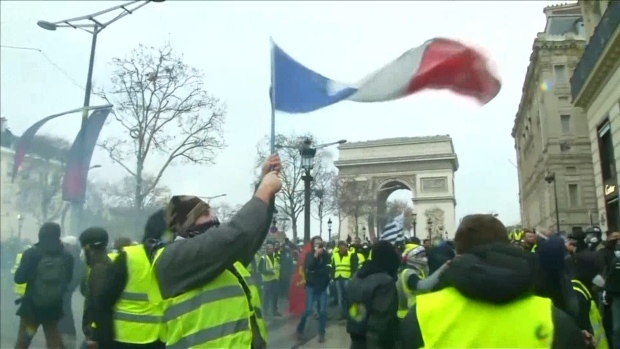 Yellow vest demonstrators gathered in Paris and other French cities for a 19th round of demonstrations as authorities issued bans on protests in certain areas and enhanced security measures in an effort to avoid a repeat of last week's riots in the capital. Scattered yellow vest protesters clashed with French police firing tear gas Saturday after a peaceful march through Paris, but tougher security measures and protest bans in high-risk neighborhoods prevented the kind of rioting that devastated the capital a week ago. Protesters and police clashed for the second straight weekend in Paris. 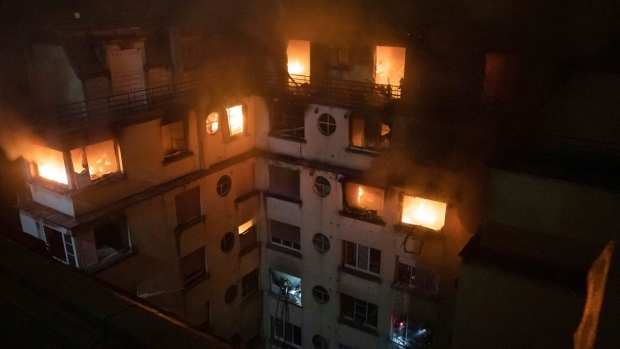 Paris' deadliest fire in a decade claimed 10 lives Tuesday morning, in what French authorities are considering an arson attack. A gas leak had been reported at Paris bakery and firefighters were on their way to investigate when the explosion occurred. Milos Krivokapic and Chris den Hond contributed to this report.